Why prepare for McKinsey PST and other consulting tests? Tried getting 20+ points in 60 minutes. Not easy? Effective learning requires mentorship and structured practice, evaluation of personal results and concentration on individual weak points. Time constraint, task overload, stress, distractions during the test - all of these need practice. Simply solving tests by quantity is not a guarantee of success. You need to learn to think like a consultant. 70% success rate on tests of our alumni vs 30% McK statistics. Invest in your success, learn from ex BIG3 consultants tricks on how to get the offer of your dreams. If the time or day in the schedule don't suit. It is important to attend live discussions on Sundays, but the time on Saturday is flexible. If Sundays are still hard to attend, we can grant access to videos of previous groups for the same price. While there is no reason why a university student would not succeed in this course (and they often do! ), most students in this course are experienced professionals. A typical student is a graduate with a major in economics, finance, or a math-related subject and 2-5 years of experience in audit, FMCG, banking, venture capital, or consulting. Exceptions (university students with no experience, unusual work experience, university major not related to math or economics) do occur about 17% of the time. We have developed our own unique 26 question tests based on real McKinsey projects across 10 countries and 15 industries. Each test question is inspired by a certain challenging question from PST A 2012, PST A 2013, PST B, and PST C. As a result, Fless tests are more difficult than real PSTs, which is exactly what you need for a thorough preparation. 90% of homework are free mock PSTs and GMAT exercises from various sources. Rest is a bit of practice on computation, chart reading, and critical reasoning. Extra materials available to students completing 100% of homework assignments.  The materials and tests developed by Fless are part of in-class assignments. You will need at least 4 hours for homework a week. Above is an example of a progress report we share with our students each week. Every row tracks student's progress for a specific question type and compares it to previous students who have taken the PST and successfully passed it. As of March 2019, we have taught over 300 students. No, unfortunately. Our tests are confidential, and we do not sell them or share them in any way. Our courses are targeted at instruction and mentorship, as well as preparation in a group of likeminded candidates for extra inspiration and motivation. If you only want to practice solving tests on your own, please visit websites of ConsultingGuru, MConsultingPrep, IGotAnOffer, Victor Cheng and others, who have tests available for purchase online. 70% of our students who received approval from the instructor have passed the real test. McKinsey's PST passing rate is about 25%. Before passing the course you might want to improve your Math or English skills with out Consulting math and Verbal GMAT/GRE courses.